Trying to figure out what to get an outdoors enthusiast for Christmas can be a daunting task, especially if the shopper really isn’t an outdoorsy person. So, for the past 4 years, this column has offered some shopping ideas to the friends and families of nature lovers. With Black Friday just a week away, it’s as good a time as any to offer my suggestions. In this year’s installment, I suggest these 4 books…. Being a nature columnist for All WNY News as well as an opinion columnist for 3 local daily newspapers, I’m often asked about who my favorite columnist is. Hands down, no matter the genre, it’s Oak Duke. Oak is the retired editor and publisher of the former Wellsville Daily Reporter (now the Spectator) who for the past few decades has written an outdoors column that appears in the Sunday edition of that paper. His writing style is impeccable, an intellectual free-flowing method that is unique to him. He uses it to tell stories of his days afield hunting whitetail deer and wild turkeys in beautiful Allegany County or to offer sometimes scientific, sometimes deeply reverent insight on the natural world he encounters while on those adventures. I’ve always appreciated how Oak can find and express so eloquently the beauty of the small things and the small moments in our forests. 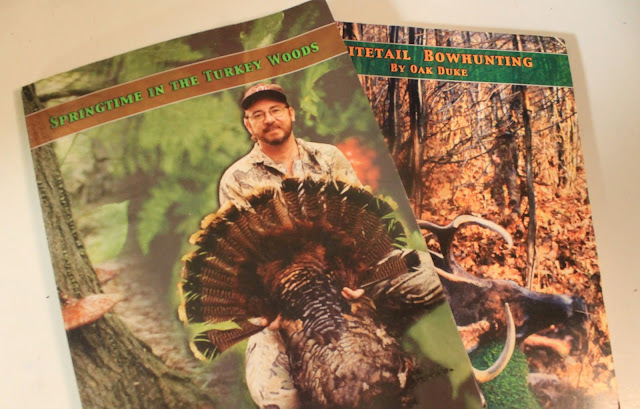 Back in 2003, Oak published and distributed through the Wellsville paper two books collecting some of his favorite columns – “Whitetail Bowhunting” and “Springtime in the Turkey Woods.” Each book is 140+ pages of his mastery of his art. The books aren’t just about hunting, they’re also about the savoring of the sport and the sights and sounds of the woods. Oak still has multiple copies of these books available for sale. They are $15 individually or $25 for the pair, postage included. To get your copies, email Oak at oduke4@gmail.com. The hunter in your life will appreciate these books. If your outdoorsperson isn’t into books that might occasionally mention the harvest of game animals, another local writer has a pair of books ready for reading pleasure. Gerry Rising is an impressive naturalist, a great writer, and one the primary inspirations for my Exploring the Niagara Frontier nature columns. For 25 years he wrote the Nature Watch column for the Buffalo News before that paper really got the goat of yours truly and thousands more people across the region. For some reason, the Buffalo News didn’t find value in a science page and without announcement eliminated it 3 years ago. Never mind that there were likely countless readers like me who, when opening the Sunday news, immediately turned to the science page and Gerry’s column. That was something I did religiously through high school, college, and most of my adult life. Luckily, Gerry found Buffalo Spree magazine willing to carry his work. If you don’t get the Spree and still want to sit down and enjoy Gerry’s columns, fear not. In the past couple years Gerry has collected and published some of his very best columns. Each tome has 100 of his articles about local birds, with ornithology being Gerry’s most passionate and popular work. 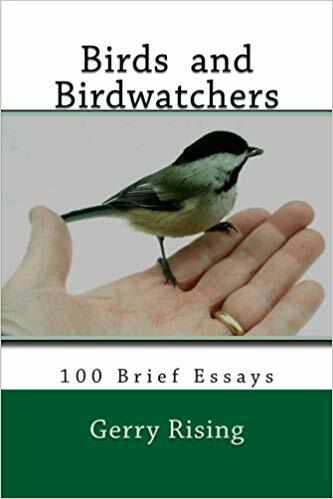 If you go to Amazon.com and enter “Gerry Rising” in the search function you will find “Birder’s Break” and “Birds and Birdwatchers” at $10.95 each, which is a steal. Nature lovers will enjoy how Gerry makes our avian friends, from the rare to the abundant, approachable and understandable to the layperson. These four books will make fine Christmas gifts for friends and family who like to explore the Niagara Frontier. They’re well-written, relatable to area residents, and you’ll be supporting two fine gentlemen who are real treasures of Western New York journalism.